We are glad that the Easy Walk Deluxe has been able to turn around (pun intended) your sprocker so you can have good walks with her. I have a large sprocker spaniel who used to pull my arms to such an extent that they ached. This harness has stopped that level of pulling which is allowing me to eventually train him. I have two of these harnesses, one for my small cockapoo and one for my large GSD. I find they are easy to fit and do limit the dog pulling me along, especially the GSD who is very strong. The down side is if the dog does still pulling a little then the loop where the lead is attached tends to pull round to one side of the dog rather than stay put. You would have to have the harness on very tightly to lessen this and it would then be uncomfortable. Overall they do give considerably more control of a pulling pet. No more pulled shoulders. We replaced our old front leading harness with this one, as it got too small. It’s just as effective and much cheaper! A very happy customer! J'utilise le harnais Easy Walk depuis bientôt 15 jours et il me permet de faire des balades tranquilles avec mon chien (Border Collie). Il ne tire plus comme avant (collier ou harnais). Un plaisir maintenant de se balader ! Je recommande ! I could definitely see this harness helping reduce dogs pulling but the medium is too big and small is too small. My dog can get his front legs out of the medium even when its at it's tightest. If there was a small/medium option it'd be 5 stars. > PetSafe Response: Hi Ciara, thank you for your review and your suggestions for our Easy Walk Deluxe Harness. We're sorry that this harness does not meet your needs and fit your dog. These harnesses are adjustable, and for some dogs, the harness gives a better fit by swapping the back strap with the belly strap (and vice versa). If this still doesn't work, our original Easy Walk Harness does have S/M sizes and additional colours available. Thanks again for sharing your comments with us. I would not recommend this harness if your dog is an extreme puller and is very strong. My 2 year old Dalmatian is an extremely strong puller and I had high hopes that this harness would be the solution to her pulling problems. Due to her pulling so much the harness began slipping around her front causing serious friction burn and severe cuts around her armpit area. I suggest only using this harness as a training tool for younger dogs to prevent pulling. 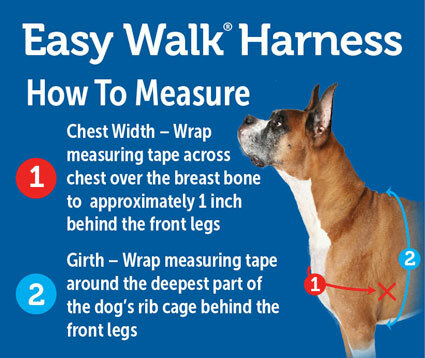 > PetSafe Response: Hi Jodie, thanks for your feedback on our Easy Walk® Deluxe Harness. We're sorry to hear that the harness began slipping around the front of your Dalmation causing her injury, this should not happen. We're going to reach out to you directly to see how this could have happened and to ensure you have the correct size harness and proper fit. We hope that we can help you and your strong Dalmatian to find a solution to her strong pulling. Thanks again.